From September through April, midweek vespers occur on Wednesdays at 7:00 p.m. These thirty-minute candlelight worship services, which include communion, offer a more intimate worship experience in the midst of our hectic lives. Childcare is provided. 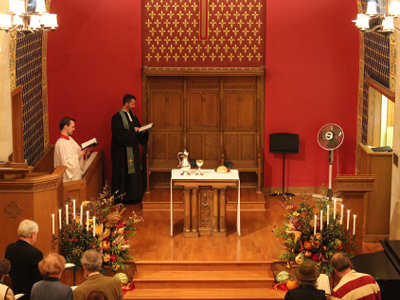 Vespers during ordinary time are held in the Chapel. Advent and Lenten vespers are held in the Sanctuary.